Do you wish to play Pied of Piper of Hamlin at low budget? 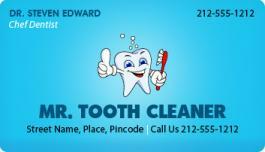 Look no further, simply grab these custom 2x3.5 specialty business card magnets round corner – 20 MIL. These magnets being produced using high quality laminated magnetic material are sure to survive any other low budget promotional magnets or gifts that you have ever seen. Marketers can use the smart imprint space offered by this magnet to position their business messages. Full color printing, special bulk order pricing benefits, free art set up, free shipping and free online design proof – are some of the benefits that can be availed on these magnets. Request a quote to know price savings that may fall in your kitty on ordering these cost effective customized 2x3.5 specialty business card magnets round corner – 20 MIL.